You may have heard about website silo architecture or theming your website, but what does it mean? For those unfamiliar with the jargon or techie nomenclature; siloing simply means categorizing semantic content using a series of inter-linked posts which are ring-fenced to each other to consolidates the collective ranking factor to the primary landing page (a.k.a. silo landing page). This is a very powerful technique that emulates the natural data hierarchy that search engines use weight to determine relevancy and authority. To step back in time Mr. Bruce Clay coined this phrase years ago as was the first one to actually share this technique with the masses. In layman’s terms creating a silo means using a specific topic (as the primary landing page) and then creating nested categories and posts under the primary topic (silo) to support the theme through the collective weight of the related documents. I mentioned the idea of ring-fencing above, ring-fenced in this connotation means that the pages link selectively in sequence (to the previous or the next post) in the series of nested layers to consolidate ranking factor. 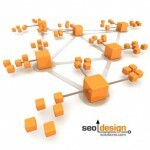 There are three facets that contribute to a properly siloed website. c) Common modifiers and anchor text braiding the siloed pages together through targeted internal links to reinforce the pages placement within the tiers of the website architecture. 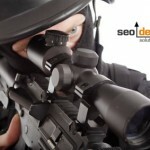 If you pay attention to those three facets, you can use them to triangulate relevance easily to search engines and save yourself the hassle of targeting keywords one by one. Pages that are siloed feed each other, and if each page in the silo is fed by deep links from other websites, the entire silo gets the benefit. The genuine benefit of siloing is the ability to capture entire cross-sections of a market by staggering the content (posts) as well as how often those posts serve as pillars to support the primary theme. Once a less competitive keyword threshold is achieved and a website ranks for one keyword, it becomes easier for the site or page to rank for similar / related keywords. What Does Ring Fencing Mean? When you ring fence Page Rank or link flow by controlling the number of links on a page (through breadcrumbs, internal links, server side includes, footer links or contextual links) you force the link-flow (the aggregate equivalent of the link weight for internal and external links from all pages) to pool or move through very specific channels within a website. Over time, those channels strengthen each page they flow through (like a thread) and latent pages rise from dormant complacency into dominant mid-tail and long-tail contenders (as a result of being nurtured from within). A relevant page linking to another relevant page garners a higher relevance score and passes ranking factor through links similar to a process of algorithmic osmosis. 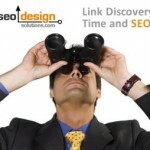 The residual link-flow and authority provide the ability for pages in the silo to rise unchallenged in the SERPs (search engine result pages) with minimal inbound links from other websites. This is due to the cyclical nature of the links forming a closed loop and only moving deeper into the silo, or back up to the top – which just so happens to be the more competitive keyword or phrase that needs more link-flow to gain expression. As a result, your website devours entire clusters of keywords vs. one at a time and starts to rank for all of the related keyword variations as a result of the dynamic synergy that occurs over time. Think of theming and siloing as a tube Taurus (like a doughnut) that folds in on itself in a self perpetuating cycle. 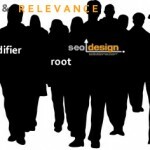 By cultivating this process deliberately, you can create powerful sites within sites to function as dynamos that create a specific type of keyword relevance within a website and when connected with other silos (through the navigation) exponentially devour every possible keyword combination in sight. It is important to choose each theme and spoke of the hub (categories and supporting articles) wisely. Each page becomes a hub page capable of ranking itself and the next, and the next another page and so on (per infinitum). Two websites you may be familiar with that share this architecture is (a) Wikipedia and (b) Amazon, and you can see just how appealing and effective this technique is for information retrieval algorithms. 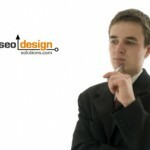 This is due to the fact that it mirrors a perfect example of structure and order that search engines reward. This algorithmic continuity based on semantically overlapping “shingles” i.e. groups of words, functions like a pyramid with a solid base and streamlined apex. 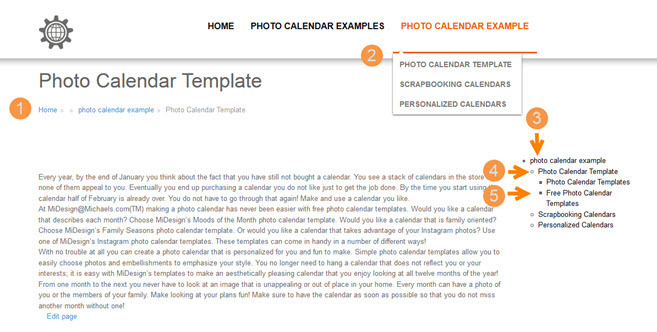 A theme is a cluster of siloed (nested) pages all based on a similar semantic structure. For example, instead of mixed marbles, red marbles go in the red column, blue in the blue and yellow in the yellow column. Even if variations exist through various modifiers alternative prefixes and relevant suffixes (such as round, small, solid, swirled, etc.) those modifiers are nested within their respective hierarchy. While this is an analogy, it conveys the purpose of reinforcing natural relationships as they occur to create structure out of chaos and in the process becomes a potent source for SEO ranking power. Jeffrey_Smith Jeffrey_Smith What is Website Silo Site Architecture? ##### Once a less competitive keyword threshold is achieved and a website ranks for that keyword, the relationship of where that page links (inside the site), which keyword / anchor text is “binding” that page with other pages “silos” in the series of collective posts and how prominent the page is to the theme “main landing page” which sits atop the nested posts as the apex of the category or subfolder. Do you understand this sentence yourself? Not only am I familiar but perform this time and time again for numerous websites in extremely competitive verticals. If you are familiar with keyword stemming (ranking for hundreds to thousands of keywords) once a tipping point if reached, then you would too. So much for sharing. I understand the idea of siloing Jeffrey, but always question certain things that I just can’t work out myself! I hope you don’t mind me writing them out. 1. If you have a silo that includes a supporting page which also includes a keyword (or keywords) that I’m trying to rank for with another page within ANOTHER silo, should I link out to that other silo? Or should I refrain from linking out to keep the ranking power within the silo? 2. Do sidebar links effect a silo? 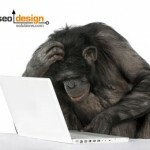 I have the sidebar on my sites link to all of the top tier pages in my site, but does this cancel out the silo effect? 3. If page A links to B, and B to A and C, C to B and D, etc, should they also link to the homepage? Also, what would the D tier pages link to; just the next tier D page or back to the homepage, or back to the tier A (silo main page)? Sorry for so many questions; these are things I’ve thought about for ages since reading about siloing a few years ago through Charles Heflin I think it was. On point #1: Use contextual links to link to other silos, but ideally they should link-up to the apex landing page for that silo and minimize any sidebar noise or other external links. On point #2: Sidebar links can bleed ranking factor and diffuse the theme, so, either keep them in the category / silo or consider monitoring how you link (instead of using a broad sweeping site-wide similar link cluster). On point #3: To ring fence, a page should never link to itself, so A to B, B links to A and C, C links to B and D, etc. All should link contextually (using the same anchor or some semantic variant) using the keyword or cluster of keywords you want the primary landing page to rank for. 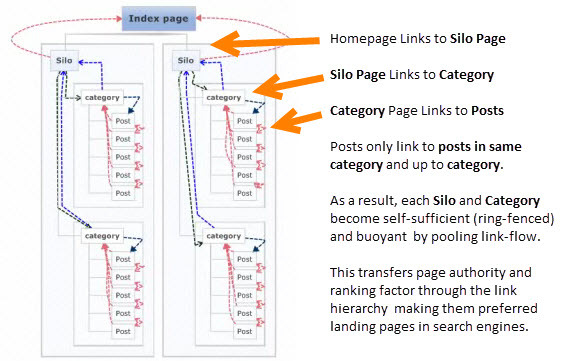 This way, if any deep links occur to any of the pages, the ranking factor moves up the silo to rank the primary landing page or shares link flow with the nested pages providing them with enough buoyancy to rank for their own respective less competitive mid-tail and long-tail derivatives. But what about this blog for example. 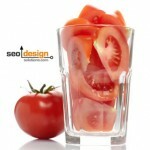 I notice you usually have an image within your blog posts with a link to the same page. Isn’t this linking to itself? Thanks again, I’ve learnt so much from this blog! Or, failing all of the above, maybe just use xsitepro2 ? Very good explanations and arguments. I am open to hear what the application can do. I have personally used theming and siloing to conquer some of the most competitive keywords in hundreds of markets, but if Xsitepro2 has something to add, then by all means, share the features.